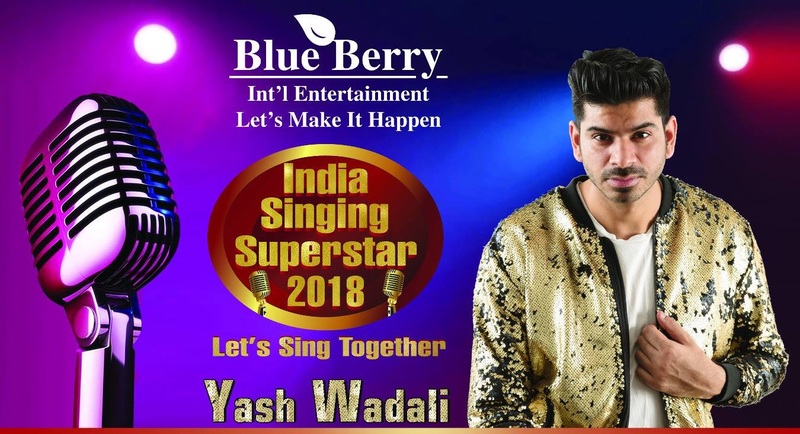 India Singing Superstar 2018 is the starting platform where you can step in for your future in Singing. The Winner’s of this show will get lots of prizes which includes majorly a Chance to perform live in an Bollywood Concert with Celebrities,Certificate, Trophy, Gift Hampers, Live interviews on Radio,TV,Newspaper,Magazines and many more. Anyone from age 3 Years onwards. There is no qualification or special training needed. Registration Fee : Rs. 1180 Including GST (One time Fee only). Last Date For Registration : December 16th until 6p.m. Bollywood’s famous Singer Yash Wadali will be the Celebrity Judge for the Show. What type of Songs/Genre is required in the competition? You can perform your dance act on any kind of Bollywood/Classical/Western etc. songs of your choice. On which TV Channel the show will be telecast? It’s not a TV Show. It’s India’s First ever International Singing Show. It will be telecast on our Youtube channel only and will be covered by famous news channels and other media partners and we will promote our contestants through Social Media Activities on Facebook,Youtube, Instagram, Google + etc.